Essential information you will need to apply to your own Task 1! Aren’t you just sick and tired of those endless video-after-video of IELTS advice on “How to” do this and “How to” do that? You know all these already! You know what needs to be done, you know all the “tips”, all the “strategies”, all the “hints” and all the “advice” that everyone seems to be throwing out there on the internet. Watching an IELTS video these days is like playing the same song over and over and over again! And you would rather save time practising on your own instead of listening to someone ramble on and on about the same old stuff you already know about! 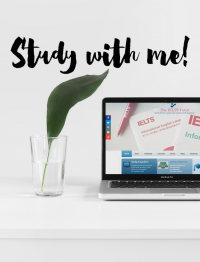 Enrol on this FREE IELTS Video Training course on how you, as a candidate, should be truly meeting assessor requirements when doing IELTS Writing Task 1. See how all of this talk about “how to” do this or “how to” do that is being put into practice and whether or not these approaches meet the examiner standards. Get into the mind of an examiner and see how we view your writing. This is a 6-day course that shows you how your IELTS Writing Task 1 is being analysed step-by-step by your examiner. Is there something that you may have missed in your writing? Enrol now to find out! Oh, and did I tell you? You’ll have the chance to discuss your writing with an IELTS examiner. Sounds good? Time runs out in a few hours. You won’t get this chance again! Thank you to everyone who has registered. Now, let’s get to work! For those who have missed the deadline, don’t despair! There will be another IELTS challenge coming up soon.